The Thai food lovers’ paradise. Quickly, before fully jumping in to eat something in this restaurant, let’s have a look what’s inside Tuk Tuk Thai Boat Noodle Restaurant’s menu. You will find varieties of authentic Thai meals to choose from, it’s almost like you’re in Thailand. Come over to Tuk Tuk Thai Boat Noodle to experience Thailand’s flavor. Their mini Thai Boat Noodle was as cheap as Rm1.90 per bowl with different 4 choices of soup to choose from. You can choose Laksa Soup, Pak Lo Soup, Boat Soup or Tomyam Soup. With your choice to choose either chicken or beef, Egg Noodle (Bak Mee Reang) or Kueh Teow (Sen Lek). Besides, there is a Pad Thai Kueh Teow in the menu. You can also find Pineapple Fried Rice, Tomyam Fried Rice, Kia Paw Chicken Rice with Fried Egg and Green Curry Chicken Fried Rice which are great for Rice hunters. Another special things available in the menu are the Thai Omelette with Prawn, Thai Taco and Sticky Rice with Mango. If you truly love street food and the beautiful atmosphere of Bangkok Street style eating, the actual best Thai food with Thai environment comes from this restaurants which can be found in Miri City now. 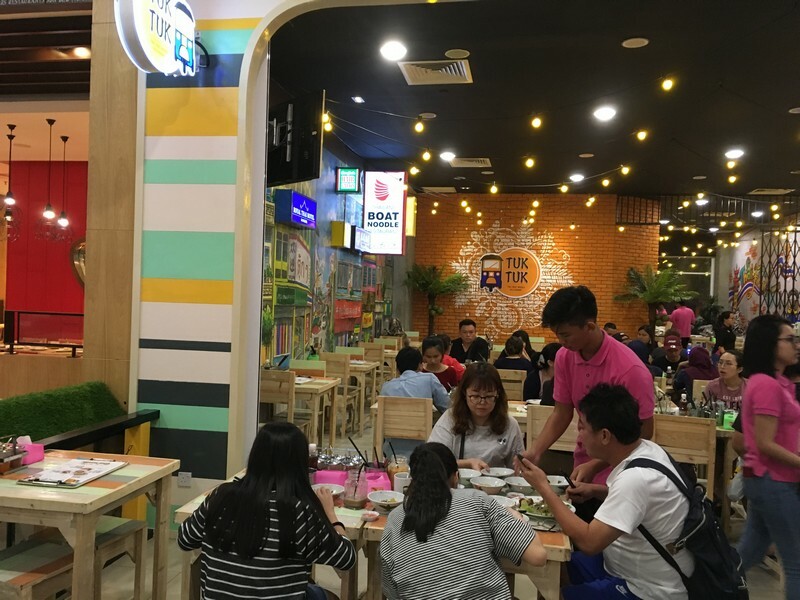 Tuk Tuk Thai Boat Noodle Restaurant is located at Permaisuri Imperial City Mall Miri. GF3, Ground Floor, Permaisuri Imperial City Mall, Jalan Merpati, 98000 Miri, Sarawak.